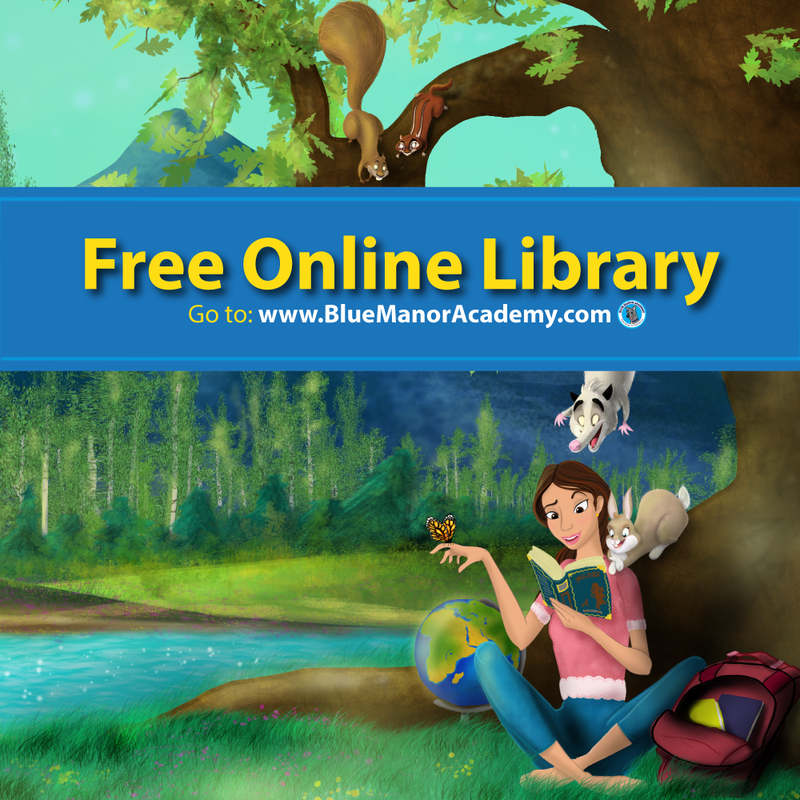 This is the last Mom’s Library of 2013 which means a whole lot more fun for the link up in the New Year! 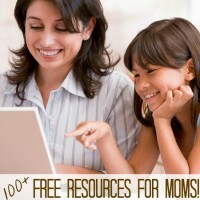 What makes Mom’s Library so special is the variety of new posts and inspiration you’ll find each week. Plus, we feature a giveaway for followers that keeps getting better and better. We hope you’ll join us by visiting the participating blogs below, linking up your ideas or following us on Pinterest! Thanks so much for a great year! This post contains an awesome giveaway below! For more information, read my full disclosure. 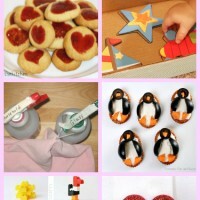 Make sure you check out last week’s Mom’s Library for 5 Last Minute DIY Gift Ideas! 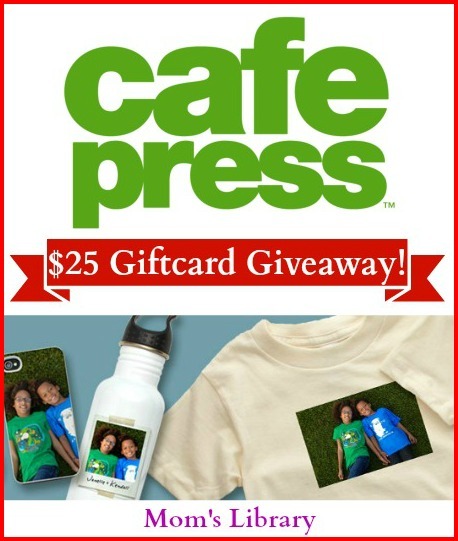 CafePress offers unique and personalized gifts for everyone! Plus, they have awesome fundraising opportunities for your cause. 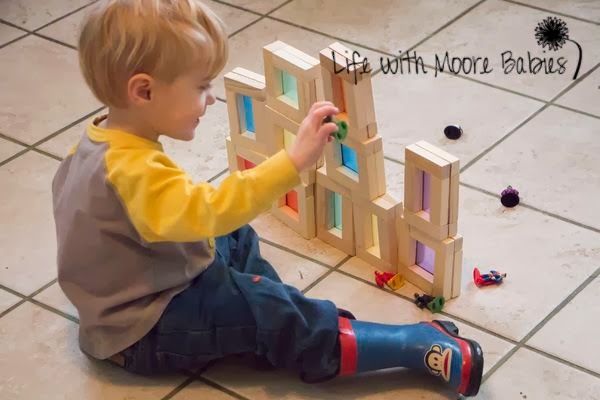 Buying these blocks at a store can be spendy. This idea is genius and a lot less expensive! 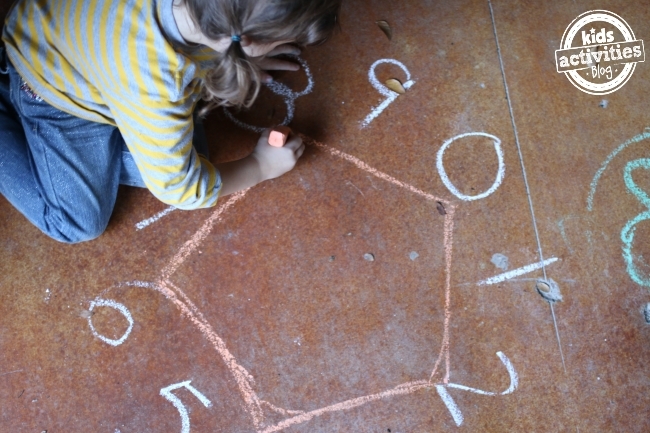 A fun game to play to practice skip counting. Plus a Free printable worksheet! 2 for 1: Get your handwriting/spelling practice in while doing all your thank you letters! A Big Thanks to All My Co-Hosts! « Merry Christmas and a Special Announcement! Thanks so much for joining us today Georgina! Happy New Year! 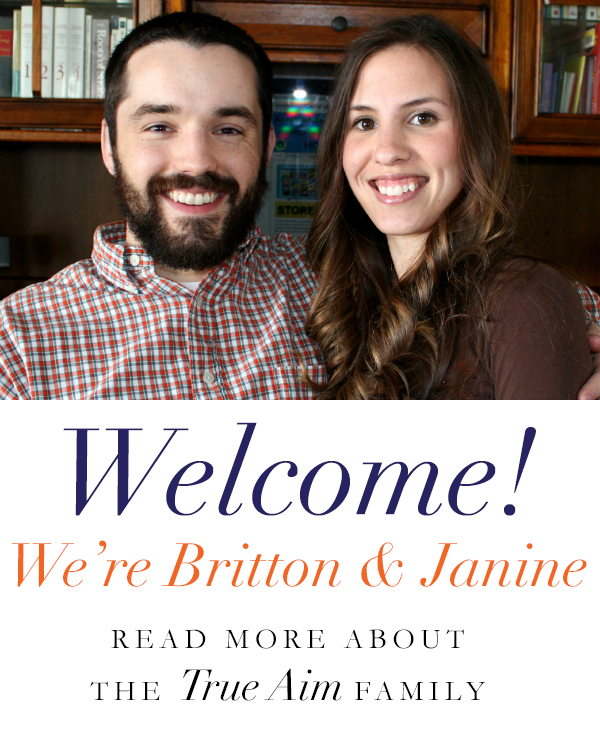 New follower from Christian Bloggers. Hope you have a Happy and Blessed New Year! Thanks for being a great host and for featuring our Color Window Blocks! Those color blocks are GORGEOUS! I love that idea! This giveaway is right on time! I was thinking I’d like to get a travel mug with my own inspirational message on it! Black Tan Damask Monogram Woven Throw Pillow would be nice! So many wonderful items to choose from, but my favorite is Fuchsia Black Damask Custom Name Laptop Skins . Thanks for the chance to win! I like the Don’t worry! I got your back! Mug! Cute! I like the Pet Personal Assistant Sweat Shirt. I think the Custom Monopoly board is a really cool personalized gift. I’d love to design a banner for my dad’s art business! I love the personalized Mugs. I like the Queen iPhone case. I love their coffee cups! I like the Jack Russell Pup Tote Bag. I really like the custom photo mug. I love the custom tshirts. I’d like any of their brain cancer products personalized since my SIL has brain cancer. LaVonne recently posted…My Toddler is Hitting! I love the t-shirts and the baby onesies! So many awesome personalized products!! Love the cute custom shirts for kids….maybe for a birthday or something like that. Lara N recently posted…A Little Slice of Lime – an exploration of what fads mean to small children. Oh I really love the Football Personalized Star Kid’s Water Bottle! Under gay pride and kids tshirts, I like the Love is Love tshirt. I need something for one of my kids to wear to gay pride day in the City as I think she might be gay. I love a personalized beach towel! Such a great gift for a summer birthday! I like the American Flag 42×14 Wall Peel from CafePress. I would probably get an ornament for my Christmas tree. I LOVE the personalized Monopoly games! how cool is that! I LOVE all of the wedding items! I really love all of the amazing tees. The sky’s the limit! Susan McNeill recently posted…New Year’s Resolutions for a beautiful new you! I just bought Christmas gifts for my niece and nephew from Cafe’ press. I was able to make t-shirts with their favorite sports team on them. With that said, the t-shirts are my favorite at this time. I love their customized photo pillow!